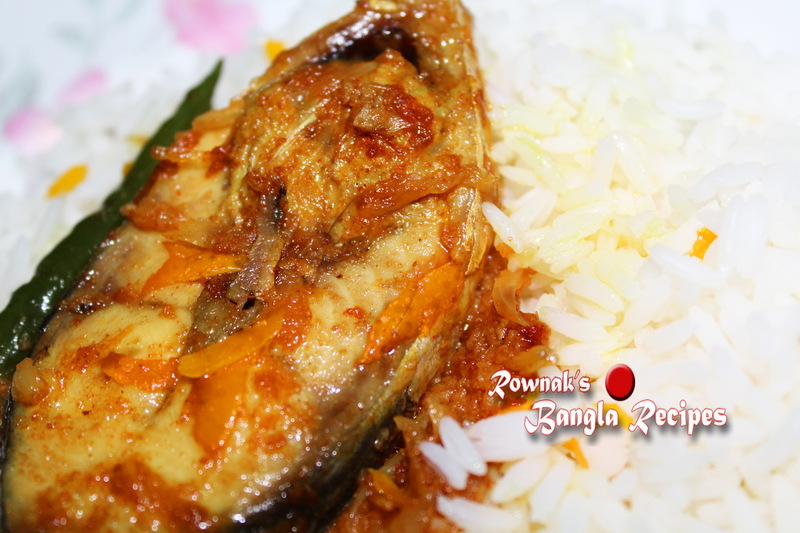 Komola Ilish / Orange Hilsa is a beautiful dish. Some of us will think this(cooking with orange) as fusion fish curry, but fish cooked with orange is very old style of cooking fish in Bangladesh. I used bit of sugar which will not make this curry sweet, it will enhance the flavour. If your orange is sweet, you don’t need to add sugar. Hope you will like this orange flavoured Hilsa . If you dont have Hilsa, you can use your choice fresh fish. Thanks. 1. Clean, wash and strain the fish. Marinate fish with ¾ cup orange juice and salt for at least half hour. 2. Heat oil and fry onion with pinch of salt. When onion becomes transparent, add rest of spices except green chillies. 3. When oil is separated, add marinated fish with its marinating juice. 4. Cook 2-3 minutes under closed lid, flip the fish and add orange juice and green chilli. 5. Cook till fish becomes tender. Check salt and add orange rind and sugar, cover it and turn off the heat. 6. Serve Komola ilish / Orange Hilsa with steam hot rice or polau. I have learned lit of old and new Bengali unforgettable foods dishes. Hope u will continue it. Pleasure is all mine and with your blessing I will try to continue my journey ..